January is often considered the month for reflection and new beginnings. We look back at the year behind us, lamenting our regrets and celebrating our successes. And then, look forward to the future year. It is also a good time to make resolutions, get organized, plan for the year ahead and maybe even try something new. Utilize the downtime in January to catch up, recharge and work on your plan. Clean up your donor databases. Nothing turns a donor off quicker than misspelling their name. Incorrect addresses can also be costly and if not corrected they will continue to cost you unnecessarily, not to mention the loss of a potential big supporter. Generate a list of new funders or funding resources and how you will reach out to them. Start with business contacts and vendors. Look into possible grants that match your mission or cause. Check in with your volunteers, let them know how much you value them and seek out their feedback to insure they will be there for you when you need them. Set up and plan out your 2017 fundraising calendar now. 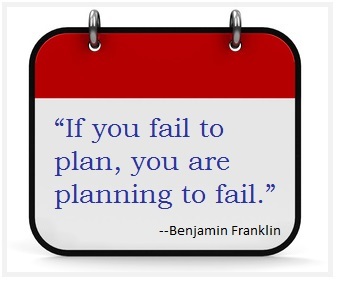 Don’t operate without a plan, it’s stressful and ineffective, but easily fixed if you take the time to write it down. Keep your organization’s community engagement on the high priority list. Get your message out and connect with your community. You will greatly benefit from that local involvement in community support. Following that path, we are making some updates to our website and are excited to start the New Year off by launching our Fundraising Blog. You spoke we listened. In addition to timely fundraising ideas, tips and advice we will be offering guest posts and interviews with fundraising professionals and event chairs like you. We will also feature what is trending in fundraising events, new products and services to benefit you in your fundraising efforts. We would enjoy hearing what type of fundraisers you are undertaking and some of the challenges you have encountered. Chances are someone else has faced some of those challenges too and may have some effective strategies to share. So let’s get the dialog and sharing started! Let us know what is on your mind and check back often for noteworthy responses and the latest fundraising news. Wishing you and your organizations a wonderful start to a successful and prosperous fundraising New Year!